Welcome to The St. Paul Grill, where iconic nostalgia and contemporary energy set the tone for a comfortably sophisticated dining experience. Win meat & prizes while raising money for a worthy charity! Win exceptional cuts of meat & win prizes while raising money for the Boys and Girls Club of the Twin Cities! Raffle tickets are $5 per ticket, winners drawn every 15 minutes. Spin a wheel to determine which meat you've won! 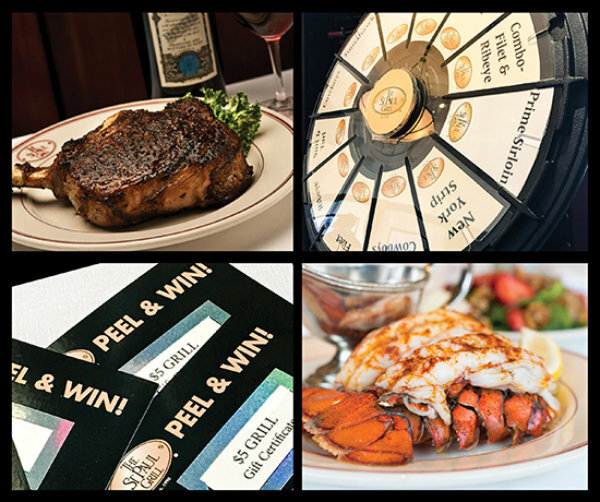 Peel-and-win pull tabs win prizes worth $5 - $100 to The Grill and complimentary one-night stays at The Saint Paul Hotel! Make your reservation online or by calling 651.224.7455.